The Zion Park District in association with the Lindenhurst Park District, Round Lake Park District and Waukegan Park District have formed the Special Recreation Services of Northern Lake County. As an extension of the Park Districts, SRSNLC will provide a diverse range of year round recreational activities to enable the residents with disabilities, of the Zion community, as well as member communities, to experience active, healthy, and playful lifestyles. • Special Recreation Services puts people first by providing opportunities for health and fitness through the many sports programs available. • Special Recreation Services puts people first by providing year round social opportunities through recreation. • Special Recreation Services puts people first by providing quality inclusion assistance. Please contact Teresa Hayhurst at the Zion Park District office of the Special Recreation Services of Northern Lake County at 847-746-5500 Ext. 2444, if you have questions, suggestions or would like to get involved as a participant or volunteer. The Zion Park District’s Special Recreation Services of Northern Lake County office is located at the Zion Park District Shiloh Center, 2600 Emmaus Ave., Zion, IL 60099. 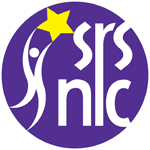 The SRSNLC staff provides quality recreation programs and services. The Zion Park District’s Special Recreation Services of Northern Lake County office is located at the Zion Park District Shiloh Center, 2600 Emmaus Ave., Zion, IL 60099. The office phone number is (847) 746-5500 ext. 2444. The SRSNLC staff will provide quality recreation programs and services. SRSNLC also participates in the Illinois Special Olympics program. We currently offer the following Special Olympics sports: Basketball, Bowling, Volleyball, Softball and Golf. Our program is dedicated to training and competition, but also teamwork, learning new skills and trying your best. Our programs are open to individuals with any disability. To view a full copy of SRSNLC brochure, please visit ZionParkDistrict.com and click on Special Recreation. If you would like to be added to our brochure email list, please contact Teresa Hayhurst at 847-746-5500 x2444 or thayhurst@zionparkdistrict.org. Come join SRSNLC for a relaxing evening of watching a movie & munching on pizza with friends in the comfort of the Special Recreation Activity Room! Do you love music, dancing, and socializing with friends? This is a great Friday night get away once a month! Each month is a different themed dance. Fee includes door prize, refreshments, and a whole lot of dancing. Come rock the neighborhood while dancing under the stars, enjoying refreshments, winning door prizes, and socializing with friends at Shiloh Center Patio. (Dance will be moved indoors in case of inclement weather). Let’s go to the Brat Stop in Kenosha, WI. for lunch, afterward we will go to Action Territory and do a little mini-golfin’! Come monkey around with your fuzzy, fury, feathery friends at the Racine County Zoo! We will cruise the zoo & see some of the most amazing animals that Mother Nature has to offer. Lunch included. Don’t forget to wear good walking shoes and sunscreen. W.R. Wadewitz Nature Camp is known for its exceptional glacial topography, wooded vegetation & hiking trails. Come spend an amazing 5 days out in nature with your friends from SRSNLC & NASR. Relaxation & the outdoors await you! Letters will be mailed approximately 3 weeks prior to trip with specific details of the trip & forms. Parts of this trip are not accessible. Come with us as we enjoy the peace & tranquility of St. Germain, WI. We will be staying at Jackson’s Resort in St. Germain. This resort has been family run since 1921 & is the original vacation spot on Little St. Germain Lake. Jackson’s Resort sits on 100 wooded acres with one of the most beautiful lake views. Wake up & fall asleep to the relaxing song of the loons. Some of the great attractions we may be visiting are Wildwood Wildlife Park & Nature Center, Northern Waters Distillery, Ojibwe Village, Ojibwe Museum & Cultural Center, Northwoods Wildlife Center, Snowmobile Hall of Fame, & The Rhinelander Logging Museum. Weather permitting we will take a relaxing pontoon boat ride around Little St. Germain Lake & take a hike around the Jackson property. Letters will be mailed approximately 3 weeks prior to trip with specific details of the trip & forms. Let’s go fill up with breakfast from Denny’s and then after go catch a flick at Gurnee Cinema. Pick-ups will be made at Northpointe Resources at 10am for Northpointe Consumers. Diner’s Club is a great way to try out the different restaurants in the area! Come join us for a relaxing evening of wonderful food & great company with your friends at SRSNLC! Now is the time to start thinking and planning for Summer Day Camp. Sparkle Day Camp offers a full summer of activities for kids 7-21 years old. The caring staff will provide great opportunities for fun and adventure. Join us for one or more weeks of camp. Need accommodations for after camp ends at 3:00pm? Sign up for Sparkle After Camp. Bring the whole family out for the Zion Park District 4th of July festival. Enjoy live music, a fun fair, pony rides, petting zoo, fishing derby, family games, food, fireworks and much more. Activities begin at 3:00pm. Bring the family & come join the Zion Park District for its Summer Concert in the Park Series. The concerts will all be held on Thursday evenings from June 20 thru August 8 beginning at 7:00pm, at the Zion Park District Bandshell, located immediately adjacent to the Zion Leisure Center, 2400 Dowie Memorial Dr., Zion. This is a free event, no registration required. Concessions are available.